Digital King is the most advanced “Flippa” like script. 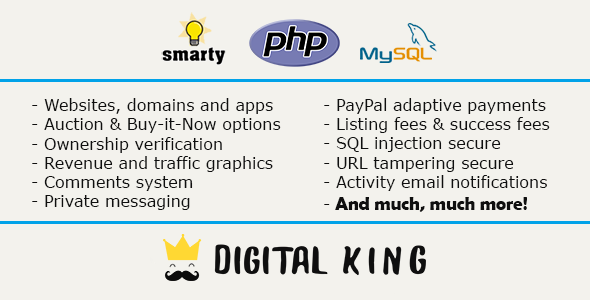 Beautifully designed, easy to use but complex in it’s code and security, Digital King has all the tools you need to start your own website, domain and app marketplace. Monetise your website by charging for normal and featured listings, and by charging a fixed success fee, just like Flippa.